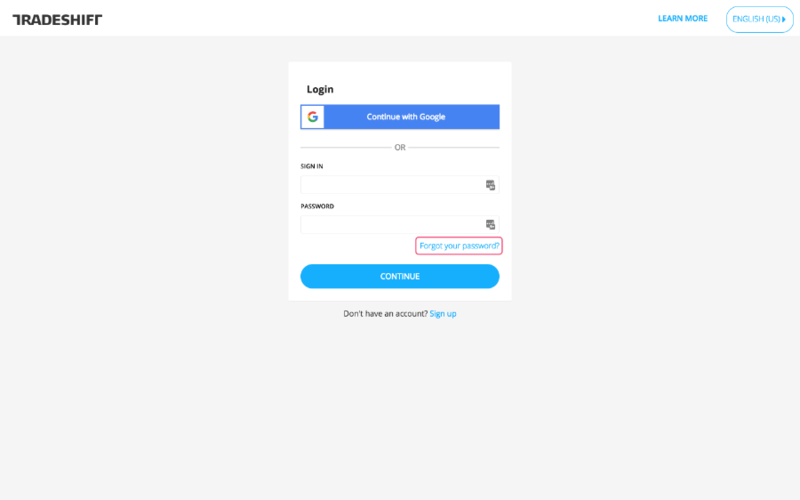 From the log in page, click on the "Forgot your password?" link. You will be taken to the "Forgot your password?" page. Here, enter your email address in the field and click "Send Instructions". In just a few moments you will receive an email from Tradeshift with a link where you can make a new password. From there, follow the instructions, and you will have access to your account with the new password you entered.